If you’ve been seeing your significant other for a while and all is well in your relationship, the next step may involve living together. 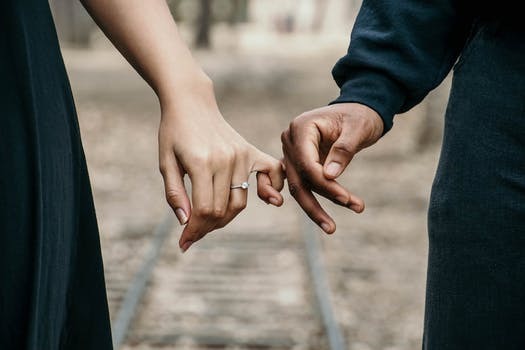 In the UK, more people than ever are cohabiting before getting married, and a survey has revealed that living in a couple is the most popular living arrangement for those aged 16 and over. Moving in together may be one of the best ways to strengthen your bond, and it could potentially be a financially sound move. 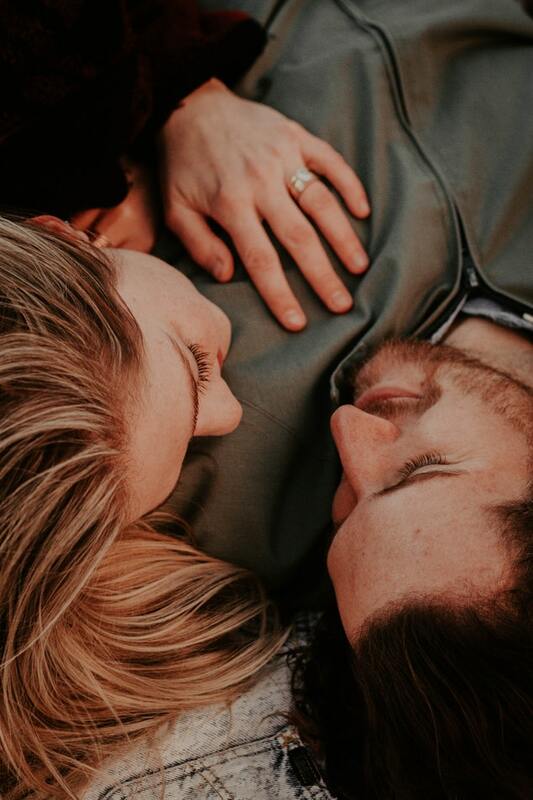 However, living together presents a few challenges, both relationship and money-wise, and there are things that you and your partner need to consider before the big day. To keep the love alive and to ensure that all goes well between you and your SO, here’s everything you need to talk about before moving in. When should you move in? Although the survey shows that most pairs wait at least a year before making the next step, identifying the ideal timeline for moving in together can be difficult—each relationship is different, after all. But you can take a good look at your relationship to find cues whether it’s the right time to cohabitate. Experts say that once you and your significant other understand and are willing to live with each other’s habits, then that’s a good sign that you can consider moving in. Being open and comfortable talking about money and finances is also a positive sign. Another thing to consider before moving in is where you’ll live. Should your partner move into your place, or should you be the one to relocate? When it comes to sharing a place, ultimately, the best thing that you and your SO could do is look for the best option that would make sense for your lifestyle and budget. For instance, if your partner owns a home and you’re renting, then it may be better for you to move into your loved one’s place. However, if your place is located near you and your SO’s respective places of work, then it may make more sense for your partner to move into your flat. There’s also a matter of space—who currently lives in a place that can comfortably accommodate two adults? If you have the bigger home and the extra closet space, then your partner may want to move into your place. As for buying a new home together, it may be prudent to hold off on investing in a shared property until you decide to get married. Not only will it be less complicated, but it saves both of you from the trouble and heartache of dividing possessions and the home should the relationship not work out in the end. If you and your partner share the same taste in interior design, then you may skip this part. But if your SO prefers a traditional style while you lean towards an edgy and modern aesthetic, then you may have to sit down and talk about how you can compromise on this matter. A home should reflect both of your sensibilities, so finding out how to combine the best of both worlds is your best bet so both of you can enjoy and appreciate the decor. The best thing that you can do is to hire a professional interior designer who can successfully put together elements from each of your preferred styles. If money is a little tight, make a project out of it with your partner and learn to compromise and find a balance. This means that if your partner wants traditional furniture in the living room, then you can have an edgy and sleek fireplace and a state-of-the-art home entertainment system in the same space. Talking about finances and paying bills may not be the most romantic things that you can do with your partner. You may not even look forward to having the money talk with your loved one as it can get awkward or uncomfortable. However, it’s one of the most important things that you should do to have a healthy relationship. Experts say that being honest and open about your finances can improve the trust and quality in your relationship. Moreover, it reduces the chances of having big financial problems in the future. So how do you have “the talk” with your partner? The first thing is to determine your household expenses. This may involve rent, association dues, utilities, and groceries. Some people think that splitting the cost evenly is the right thing to do, however, this only works if you and your partner are earning the same—or close to the same—amount of money on a regular basis. If your partner is earning considerably less than you, then it may be difficult for your SO to pay their half. If this is the case, you can cover the bigger expenses, such as the rent, electricity, and water bill, then perhaps your partner can cover the groceries and the cost of your cable or Internet. For personal expenses such as clothes, salon visits, and haircuts, each of you should be responsible for this and take care of your respective purchases. Also, don’t expect your partner to pay your credit card bills or insurance—you should take care of that on your own, the same way you always had before moving in. Living together makes you privy to all your partner’s habits and quirks, and you may discover something new each day about each other. But even though you’re living in the same space, it’s crucial to keep the spark alive to ensure a happy relationship. Make quality time for each other—remember that living together doesn’t mean that you’re spending lots of time together every day. Continue to go on date nights and flirt with each other. If it’s been a tough month, by all means, stay in, but make your meal a romantic one by lighting candles and playing soft music. Going the extra mile even though you’re living together is always worth it if you’re doing it for the person you love. By being open, honest, and having the willingness to compromise, you and your partner can have a happy relationship while living under the same roof. As time goes by, there may be ups and downs as you continue to discover new things about each other, but be reminded that no matter what, it’s the love—and not the house—that binds you together. The iGaming industry has been around for a while and this universe comes with its supposed facts that are related to the game of slots on the various sites. Thailand is a beautiful country with a fascinating heritage, sublime beaches, gorgeous architecture, stunning topography, and smiling people. It is a holiday destination that never ceases to dazzle or amaze. Consequently, the number of luxurious venues, both hotels, and private villas, is growing exponentially. Koh Samui, in particular, attracts a lot of couples planning a destination wedding in Thailand. From its white sand beaches to sparkling green seas and picturesque backdrops, there are endless reasons why the island is Thailand’s best beach wedding destination. Here are nine to start with. Koh Samui is a fabulous beach wedding destination thanks to its 25 km of glorious coastline. Its beaches are famous for their fine white sands and crystal-clear waters. Some are often lined with lounging tourists but plenty isn’t. You can host a Thailand beach wedding at one of the quieter spots that feature secluded coves and hidden beaches. Some less crowded beaches to consider include Bang Tao, Choeng Mon, Laem Singh, and Nai Thon beach. After exchanging vows, you can hop on a traditional longtail boat for a photo shoot as you explore the little coves. The cost of a wedding in Samui Island is quite affordable compared to other popular wedding destinations. For instance, the average cost of a wedding in Koh Samui (with 30 guests) is £900 while the cost of hosting an average wedding in the UK is £30,355. However, it is important to mention that the cost of a wedding in Koh Samui varies depending on the type of hotel that’s planning your wedding – five, four or three star – and the time of the year – low season or high season. Most resorts at the island offer wedding packages that include reception setup, wedding cake, drinks, plated dinner, discounted accommodation and a photographer. You and your guests may be partial to Pad Thai, but you have no idea of the diversity of Thai cuisine. When getting married in Thailand, you’ll be dazzled by the food options available on this gorgeous island. Expect dishes like mango sticky rice, Gaeng Keow Wan Kai (Green Chicken Curry), Massaman and Panang curries, papaya salad, soured pork sausage, and laab (minced pork salad) just to name a few. Luxury hotels will also have an international chef serving Western food just in case you have guests who are not into Thai food. Being a tropical climate zone, the sun at the island shines bright and strong and the temperature remains relatively constant (hot) year-round. Additionally, the island is frost-free making it a perfect wedding destination. You and your guests can celebrate on the beach, enjoy cocktails in the sunshine and dine under the stars. While the climate in tropical zones is characterized by hot and dry days, the island also experiences occasional heavy rains. Therefore, if you’re getting married in Koh Samui, be sure to visit the island when the weather is favourable. There are lots of awesome activities you can do the day after your wedding day. You and your guests can choose to sail along the coast or trek into the island’s jungle-clad mountains. Rock climbing, white-water rafting, bike riding, and zip lining are other great ways to explore the stunning island. If you want to explore the coast further, be sure to go snorkelling, kitesurfing, sea walking, stand-up paddle boarding or kayaking. The fabulous culture of Thailand is intriguing and overwhelmingly rich. You can choose to have a theme for your wedding that mimic’s the Thai culture. You get an opportunity to celebrate your special day uniquely. The universal language of love allows you to incorporate romantic love songs for the ceremony. The lively Thai music, as well as their traditional attire, are sure to make your ceremony warm and welcoming. When you have your wedding at the beach, you can also choose to have your honeymoon in Koh Samui so that you spend less time travelling and more quality time with your spouse. There are exquisite honeymoon destinations in Koh Samui that will interest you. Consider having your wedding at the beach and then hiding away in a peaceful destination for your honeymoon. Many secluded beaches host couples for their honeymoon. Book yourself and your spouse into a luxurious hotel and enjoy room service as you spend quality time together. If the nightlife interests you, there are endless establishments in Koh Samui that have good music and amazing cocktails. The locals in Koh Samui will freely suggest beautiful wedding sites to hold your ceremony. You will be warmly welcomed by friendly residents who are known to be good for foreigners. Since you are allowed a thirty day stay as a foreigner, you get the opportunity to interact with new people. Beaches in Koh Samui are neutral grounds that allow you to accommodate adults and children alike. The clean environment is favourable, and you can choose to hold your wedding at a private beach so that you enjoy tranquillity. There are many luxurious hotels around the major beaches in Koh Samui that have affordable rates. You can accommodate everyone comfortably while the wedding plans proceed. Koh Samui is a top destination for a beach wedding. Its dazzling beaches, azure sky, fabulous food, and perfect weather will make your wedding truly extraordinary. “Love recognizes no barriers, it jumps hurdles, leaps fences, and penetrate walls to arrive at its destination, full of hope,” quotes Maya Angelou. While real love, as described by Angelou, keeps marriages strong, sometimes divorce is the healthiest options for couples. Besides separation, the other common and more natural way that marriages end is through death. Losing a spouse to death changes the world around you and subjects you to sorrow and grief. You may experience guilt for being the one who is alive or get mad at your deceased partner for leaving you. But should you live like that forever, or should you move on? 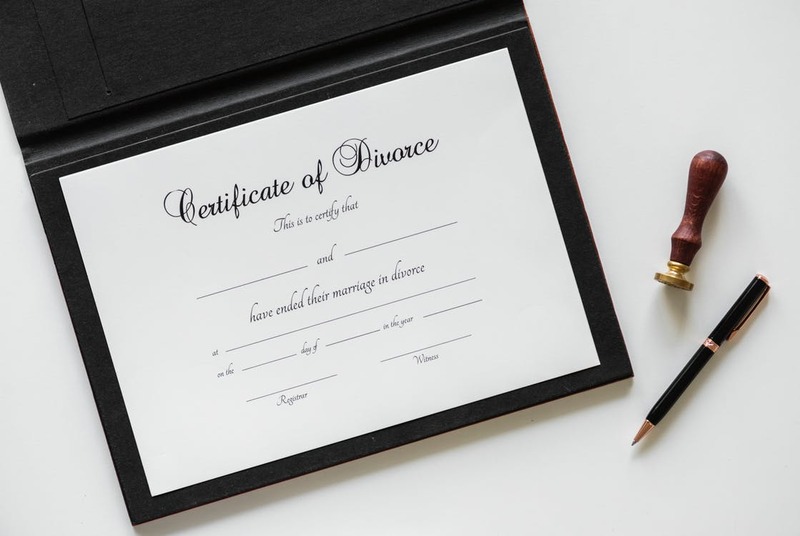 The 18th-century writer Samuel Johnson defined remarriage as ‘the triumph of hope over experience.’ This can be perceived as a cynical statement to mean that if you have been married once, you ought to know better than to remarry. But his witticism also expresses a more positive and more profound truth about the human nature that we are all hopeful species especially when it comes to fulfilling the most basic human need: to love and be loved. So, why not be hopeful? A date relates to an interview because you are actively trying to learn more about the person to see if they are a good match for you. Many people get nervous during dates, and as a result, they end up talking too much about themselves. Instead, you should compose yourself and try to learn something about your date as well. Knowing the other person is crucial, hence you should not hurry up down the aisle with them, even if you were in love before your divorce. This is because your relationship is on an entirely different footing; it is no longer a secretive affair which in most cases scraps off most of the excitement. One thing that your date does not want to hear is how your former partner was a jerk or was not adhering to your agreement. If you dwell too much on the negatives from your past relationship, you will most likely never hear from them again. Therefore, you should try to concentrate as much as possible on the present and the future. In case your divorce comes up, keep it brief, shallow and resist from cursing. Some of the words you should refrain from include depressed, devastated, heartbroken, bitter and deadbeat. 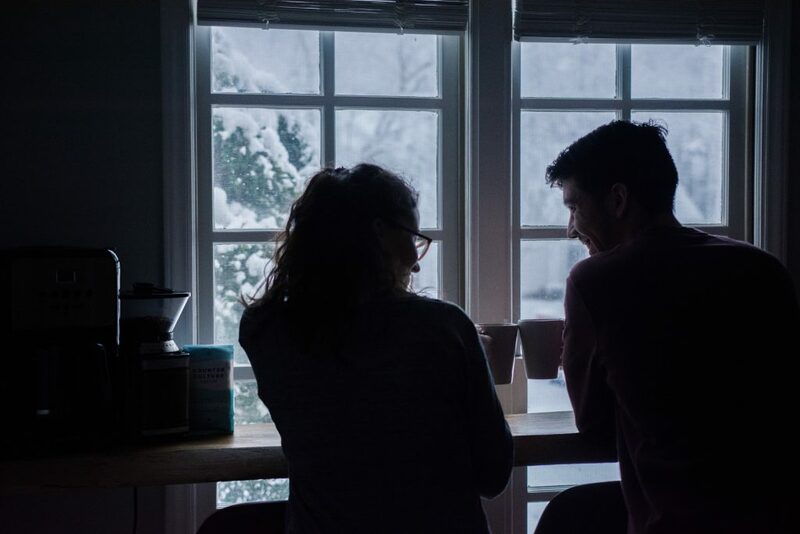 “Does the person bring the best in me?” Do I like myself when around this person?” these questions emphasize whether your date is a good fit for you. If you are dating a person who makes you feel bad about yourself, you might find that everything you do is inclined towards making them love you more, and on most occasions, they cannot. Instead of trying to make such a situation work, accept that they are not the one and that you need to move on for your well-being. Your children are your pride and joy, and they are in most cases, a significant part of your life. In this line, your date is not with you to talk about them the entire time but to know you and what defines you when you are not a parent. Similarly, when people find love after divorce, they often want their kids to dive and join in the happiness. They do not realize that children might require more time to adjust. Therefore, you should not hasten to introduce your children in a bid to solidify the bond. It is vital to understand that just because you are dating your soulmate, it does not mean that your kids feel connected to those of your partner. As such, don’t force them to spend time with each other but give everyone time to accept the new arrangement. Put in mind that divorcees shuffle a lot of issues including kids, job, and more. Dating as a divorcee is significantly different than when you were younger. Therefore, issues like last minute rainchecks, kids despising you and your partner’s ex being rude to you are typical scenarios to expect. 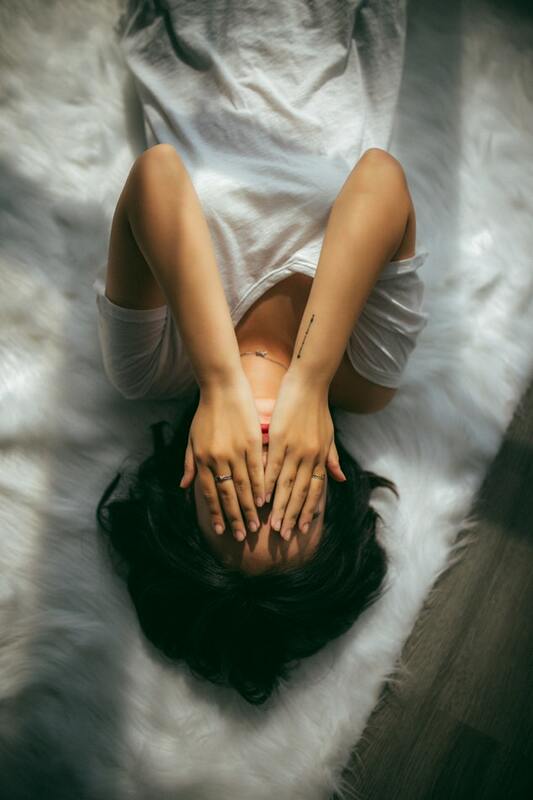 In addition, there might be days they fail to talk to you, and though they might not manage to see you as often as you want, it is essential to remain calm and understanding; those are just the constraints of dating after divorce or death of a spouse. A bit of time to yourself after losing your spouse, through whichever means, allows you to reflect and get to know yourself again. You may not feel like you’ve lost yourself but when you’ve been part of a relationship for a long time, you can lose some sense of yourself as an individual. Give yourself time to breathe, reflect on your own wants and needs and get to know yourself. You can rethink your sense of style, your ambitions in life and where you hope to spend your later years, even with a new partner. Whether your previous marriage ended with death or divorce, you need time to recover. You have gone through a significant life transition and you ought to get in touch with your emotions before indulging in another serious commitment. Also, for divorcees, try to understand what went amiss, and if you find yourself laying 100% of the blame on your ex, you may not be entirely realistic. Until you have acknowledged your role in the separation, you are likely in danger of repeating the same mistake. In fact, a period of self-examination is vital. Also, therapy might be helpful as it clears off any emotional baggage so that you do not drag it into your next marriage. After a divorce, no one scores 100% in dating and remarriage because the past always sticks with you to a certain degree. Remarried couples will always have to deal with issues from previous marriages. However, openness, honesty, patience and mutual support are the keys to a successful remarriage. The good news is that the union is more likely to be successful because partners are more experienced and more mature than they previously were. It might not be fair to term remarriage as the ‘triumph of hope over experience’; it could be that very experience you have gained that grants you a reason to remain strong and hopeful. A wedding is generally a grand occasion, and people enjoy themselves a lot during the festivities of a wedding. The marriage is obviously the celebration of the bond that is made between two people but the relatives and friends who gather on that auspicious day for bestowing their blessings on the newlywed couple make the whole event more beautiful and happy. There are different things involved in the wedding shopping list, and many items need to be procured for the wedding. The planning process is vital for any wedding which involves the date, venue, guest list, dress and suit for the bride and groom, etc. But the most important piece is obviously the wedding or engagement ring. The ring which is used for engagement has to be bought by the bridegroom and is probably the costliest item in the whole shopping list. If it is necessary to choose the credit option for purchasing the wedding ring, then it is very important to know the amount which has been taken as credit. If might sound easy that the amount is known when the price of the ring is shown. But it should be remembered when that amount is paid through credit then the price might be higher than what is shown in the price tag. This happens because the credit card has certain terms given by the crediting agency and there is the rate of interest which is applied to the credited amount. In some cards, there is a period when no most inert is charged but usually that duration is not very long and the interest is very high after the grace period. In other cards, there will be a rate of interest which will be levied on the loaned sum. Hence, it is important to assess the total cost that one will incur if the payment is made through credit card and the suitable amount should be ready soon so that less interest or penalties are charged. As already mentioned a wedding ring is nothing less than a costly affair, so it is extremely important to ensure it against damage from accidents or theft. There are different types of insurance service providers who have different conditions for ensuring valuable items. The policy agreements requiring lower payments for coverage usually do not have a comprehensive approach when it comes to ensuring a highly prized artifact. However, it is always dependent upon the financial situation of the person and also his choice when it comes to selecting insurance coverage for the wedding ring. It is necessary to understand the fact that the wedding is the initiation of a journey in which two persons mutually coexist harmoniously. In order to achieve peace and prosperity in a marriage, it is vital to plan the finances accordingly. Usually, a huge amount of money is spent on weddings, and less thought is given about the financial needs in a marriage. Hence in order to avoid debt situations, it is mandatory to plan the funds’ necessary fora marriage and not just for fulfilling a wedding ceremony. The pomp of a wedding is not to be measured against the money spent on having that wedding instead it should be considered by observing the overall happiness of the entire family and the couple. Sometimes for the sake of saving one’s face in the society individuals make the mistake of acquiring things that are beyond the financial capacity. This expenditure might make that single day overtly beautiful but will affect the couple later in marriage. Hence instead of worrying about what others will think if there is a lack of expensive glitter in the wedding one should come forward and calmly state his financial status and budget for the wedding. The wedding ring might be important for a single ritual but won’t make or break the wedding. In the jewelry market, there are enough shops that provide quality pieces of jewelry at an affordable range, but there are some stores that charge an excessive amount of money. A person should be wary about such jewelry stores, and it is better to scan through multiple jewelry shops before making the actual purchase of the wedding ring. Prices should be compared both offline and online, and the quality of products are to be examined very carefully. There are indeed a plethora of options when it comes to wedding rings. However, choosing the least priced wedding ring might not be a prudent choice because this ring will not only be worn on the wedding day but will remain on the finger of the spouse throughout her married life. Therefore choosing rings that are reasonable according to one’s budget is to be purchased. Debt is not something that one wishes to gather that too right after a wedding but in the unfortunate event when a person finds himself in debt due to the expensive engagement ring, then it is important to work continuously for resolving the debt as quickly as possible. You can get in touch with the experts of nationaldebtrelief.com/ know more. For more informative blogs like this, you can stay in touch with us! Money talk is probably the last thing on your mind right after you get back from your honeymoon. You might be thinking – you just got back from a romantic getaway with your spouse after your successful wedding that’s thoughtfully planned and splurged on. You’re not even done unboxing all of your wedding gifts. And now you’re going to talk about financial paperwork? Well, sorry to say, but it’s got to be done. After all, money is one of the leading causes of divorce. Financial issues, no matter how daunting, should be discussed before they become bigger and more damaging in the relationship. A blissful marriage isn’t measured on the number of date nights, romantic vacations, and lavish anniversary gifts. Couples who face financial hurdles together and overcome them together come out stronger than ever. So if you’re ready to do some daunting financial tasks after the wedding, here are top 6 things you should do as a couple. Have you decided to have a joint banking account and merge all of your finances for household spending? Or you want to keep your personal account? Or perhaps do both by having a shared account and a separate account for personal spending at the same time? Whatever that is, make sure you’re both on the same track about this matter and do all the paperwork together. Once you’re married, you should have each other’s names on all of your accounts. It’s also important to change your beneficiary information for those accounts: If it’s your first marriage your beneficiaries are likely your parents. If you’ve been married before, it’d be your ex. Make sure to update it ASAP to avoid bigger and more expensive problems should anything bad happen to you. “Til death do us part” or “Til debt do us part”? Debt should be openly discussed and addressed as early as possible to avoid it to cause further damage to the relationship. Get out the paperwork, provide copies of your own credit reports, look for the real bottom line, and deal with it. Debt catches up eventually – whether it’s the tax collector, your university, or creditor. One day, the terrifying details of the past will come creeping out when you’re trying to get a mortgage and other loans. Not all money talk is bad. Some prudent men and women enter marriage with trust funds, investment accounts, real estate properties, and other significant assets. Your spouse should know what you have and what you can share unless you have a prenuptial agreement that excludes the spouse from any benefit. Again, beneficiary names should be updated. Now that you’re married, looking at your paychecks and other income sources is just a right thing to do. You’re a team here, remember? It’s crucial to determine your combined monthly income and how it’ll affect your spending and savings. Make a detailed budget out of the combined list of all your monthly expenses: housing, utilities, internet, cable, phone, groceries, car payments, leisure, and other routine costs. Plan for payments on debts too. Last but not least, make sure to have a budget for unexpected expenses that may come up, like home repair and medical bills. Odds are that, you’ve splurged on your wedding and your honeymoon. YYour first year together is the perfect time to recoup those losses and continue saving up for the future. Don’t forget to feed your savings account – together. We can all agree that having a financial cushion for emergencies and retirement is a must. You can fuel your savings by finding ways to be frugal. You may limit nights out and put your focus on groceries and rent. Be wise when going on vacations. Set limits for internet, cable, and electricity use. It’s more fun to celebrate your first year of marriage without overindulging. Communication is key to a successful marriage, especially in terms of money. Couples who discuss money matters, set financial goals and help each other achieve them tend to be happier and healthier than those who don’t. Take the time to sit down with your spouse to talk about money – your short-term and long-term goals and your plans to make these goals a reality. Discuss where you want to be in five years. Are you planning to build a business? Will you buy stocks or other investment vehicles? Will one or both of you work abroad? Do you have a plan to level up on your career? Talk about money handling practices and expectations. Are you guilty of poor spending habits? Do you plan to quit certain expensive vices? How often do you plan to go on vacations? Talk about future expenses that will eventually arrive, including children’s education, buying your first home, your first car, and the emergency and retirement funds. I know these things may be too much to talk about, especially if you’re just starting your life together. However, it’s great to be open about these things and to know that you and your partner are on the same track. First dates can be a stressful experience, especially if you do not have a lot of money to impress the object of your affection. The best way to overcome this stress is to have lots of fun, which often does not require much money at all. First dates are notorious for creating lots of tension and nervousness. So, why not do something that will almost surely relieve this tension and your nervousness: perform karaoke. Lots of bars and pubs these days have karaoke machines, and most of these places are not expensive. Before you go, check what songs they have and select a few. You might even want to practice singing them before your date, either at the bar or in the comfort of your own home. Then, at the beginning your date, bravely take the stage. Understand that it does not matter if your singing skills are not the best. In fact, getting your date to laugh just may be the best reaction to get. But don’t worry about the reaction. Just go up there and have fun, which can be very contagious. No matter how well or poorly you perform; you will certainly break the ice and show your date that you are adventurous. Then, try to entice your date to take the stage as well. This can be tricky, so if this person is hesitant, suggest a duet. Something you two will always be able to remember. Even if your date is still hesitant, you can still have fun that night laughing at everyone else. Do you remember how much fun arcades were when you were kids? Well, guess what, they are just as much fun when you are adult, especially on dates. What’s more, they provide lots of inexpensive entertainment that will make both of you feel young again. First, find out what kind of games your date likes to play, and let them know what you like. This can be a great icebreaker, as you can learn all sorts of things about each other and what you each enjoy. Then, play all the games both you and your date love. You can even make it a competition, though you probably want to make certain that your date wins at least 50% of the time, if not more. Also, try to find games that you can play against each other, such as air hockey. As your minds will naturally focus on the game, they won’t be able to focus on how nervous you both are, which can open all sorts of possibilities for conversation. Some arcades even allow you to win prizes, which can be a great keepsake for your first date together. There is nothing more fun than going on a treasure hunt, and this is basically what geocaching is. The way it works is that you use your mobile devices to find “treasures,” which have been hidden in places all over the world. Not only is this a fun way to spend a date, but it will cost you almost nothing. All you need in addition to a mobile device is the free Geocaching app, which is available for both iOS and Android devices, and a pen or pencil. Armed with these basic tools, you and your date, search for buried treasure while exploring your town or city on foot. The treasure hunting aspect of your journey is a great conversation starter, and you will have lots of time to get to know each other, especially if you stop for a drink or snacks along the way. The object of geocaching is not only to find buried treasure, but also to log what you have found it. This is why you need a pen or pencil. As an added benefit, this leaves a permanent record of your first date, which you could one day possibly relive. Maybe even with your children or grandchildren. The great thing about taking your date to a zoo is that you are certain to have a good time with all those cute animals to entertain you. Another certainly is that you will not have to spend a lot of money. You can learn an awful lot about your date during a trip to the zoo. You can not only learn what animals they like, but you can also exchange pet and other animal stories from your past while you explore the grounds. The animals and their antics will also help take away your jitters, and they will make you feel comfortable. Similarly, an aquarium or other places that feature wildlife can be a great option as well. There is no rule that says that your first date must be in a restaurant or in a bar. It can be in your own home. While you could just cook for this other person, it is much more fun to cook together, and unless you’re cooking something crazy like lobsters it should be very affordable. First, discover your date’s favorite food. Then, invite them over to cook together. You can learn lots about this person while you are doing this, and you can have lots of fun together while you make all sorts of messes. You can also find out just how well you function as a team. The great thing about this kind of date is that it has a proven track record of success. Famously, Prince Harry proposed to Meghan Markle while they were cooking roast chicken together. In conclusion, there is no reason to let a small budget limit the fun of your first date. 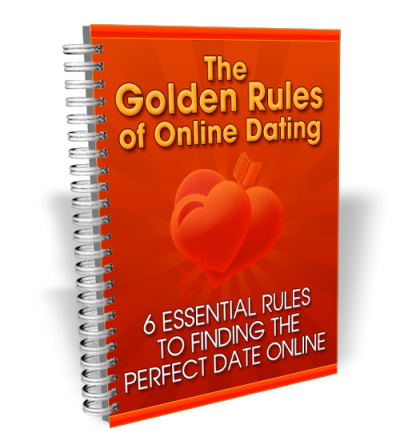 Simply follow the dating tips contained here and you will escape the friend zone, and perhaps you will even take that first step toward finding the love of your life. Marriage is a rollercoaster. It provides happiness and escape from everyday life. It occasionally comes with a unique set of trials. And it is the perfect place to develop and hone leadership abilities. This is because leadership and marriage have something in common – a partnership. One spouse can’t have a healthy marriage without the help of their partner. Similarly, leadership involves teamwork and cooperation in order to be successful. Leadership can be used on various occasions throughout life. In marriage, business, or even simply coaching a sports team. Marriage impacts how a leader speaks to their team. It sets the tone for how much trust, consideration, and communication there is in interpersonal relationships. Here are 7 ways marriage equips you to be a strong leader in your life. In a healthy marriage, both partners learn how to listen to one another. Couples are happier when they feel they can speak their mind and that their partner is hearing them. Partners must be empathetic when they listen. They pay attention to what emotion is coming forward and react accordingly. Part of listening also means not interrupting or overreacting, even when they feel like their partner is completely wrong or off-base about certain claims. These positive qualities of listening are essential for a strong marriage. They are also helpful in developing good leadership habits. Leaders must listen to their teams concerns and comments. They must be able to hear criticism without getting upset and show their team the respect of being uninterrupted. This will ultimately make the team stronger and more united. The Australian Institute of Family Studies discusses eight characteristics of long-married couples. The long-term study on marriage found that some of the most important qualities in a lasting relationship are adaptability, enjoying each other’s company, and a balance of power. This balance of power, or teamwork, is the cornerstone of a healthy marriage. The study goes on to have partners cite reasons why they believe their marriages have been successful. Among the top reasons listed were agreement on goals and aims, treating a partner as a best friend, and being committed to making the marriage work. Leaders must also be able to appreciate teamwork. Ego has no place in a team environment. It is only with the help and support of others that a leader is able to lead effectively. Communication is the backbone of any good relationship. Couples communicate to get to know one another better. They also talk when they need comfort, forgiveness or fun. But, communicating is more than just talking. Partners must be honest with one another about their thoughts and feelings. Communicating effectively means talking about a problem instead of attacking your spouse. It involves active listening and empathy. Healthy communication can help resolve arguments and prevent misunderstandings from happening. These are vital skills for those in positions of leadership. A leader must be able to understand their team, clients, and colleagues. Communicating will help make tasks and personal relationships a breeze. Nobody gets married and then gets crowned the best husband/wife in the world the very next day. Learning about a partner takes time and patience. Couples must put in the effort to learn how to make their marriage work. Partners should never feel too embarrassed to learn more about their spouse. They need to ask questions, make time for one another, and communicate regularly. Leaders also learn to hone their craft. They learn about their team. They learn about their own strengths and weaknesses. And they look for opportunities to continue to grow and get better. Nobody ever stops learning. Not married couples and not leaders. Couples who are truly in love know the value of sharing their successes and celebrating each other’s victories. Studies show that couples who celebrate successes together are more likely to associate their relationship with happiness and well-being. Couples who did not share their triumphs together were commonly quotes as relating their relationship as poor. Positive emotional exchanges are an important and sometimes overlooked aspect of a healthy marriage. Partners love and appreciate when their spouse shows appreciation for their work and celebrates them achieving their goals. Leaders should also celebrate the success of their team. Doing so creates personal connections and raises team morale. Marriage is a wild ride that is full of ups and downs for every couple out there. There are times when being married will feel like winning the lottery every day. There will also be times where a husband or wife will question why walking down the aisle ever seemed like a good idea. But those who are true to their marriage vows have one undeniable leadership skill. They never give up. Couples who love each other work through their problems and vow to stay together through thick and thin. They address problems and talk to each other in order to keep their bond strong. Nothing will stand in the way of their marriage being a success. Leaders have this same drive and passion when it comes to making their goals a reality. A married couple is deeply in-tune with one another. This connection allows them to realize when something seems amiss in the relationship. A leader must be able to follow their gut instincts. They must know when something seems off about their team. They should have a firm grasp on their goals and be attuned to their gut instincts. This will help them re-adjust personal relationships and goals for the greater good. Many lessons learned through marriage can be applied to one’s personal and professional life. Teamwork is essential both in marriage and in running a business. It’s equally as important to know the strengths of yourself and your partner. Yes, marriage is the perfect place to learn such valuable leadership skills.